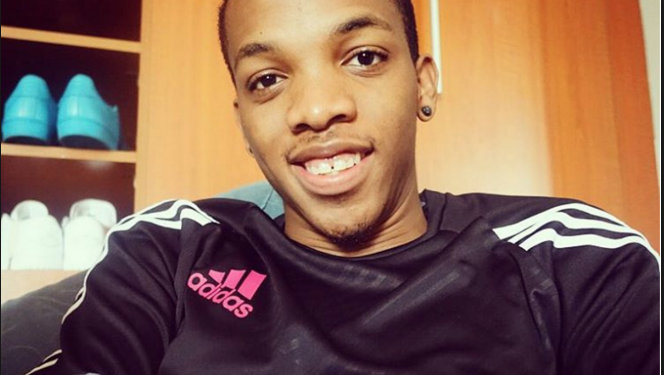 Have you been following Tekno on Twitter? 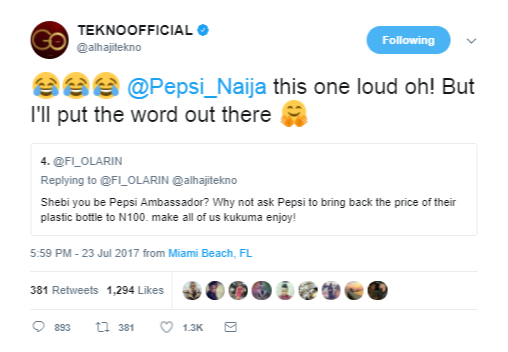 @AlhajiTekno has been having a bant on Twitter and yesterday something amazing happened. Tekno has been on a giving spree and he decided to put 2million up for grasp to his twitter followers. Check out what happened next. 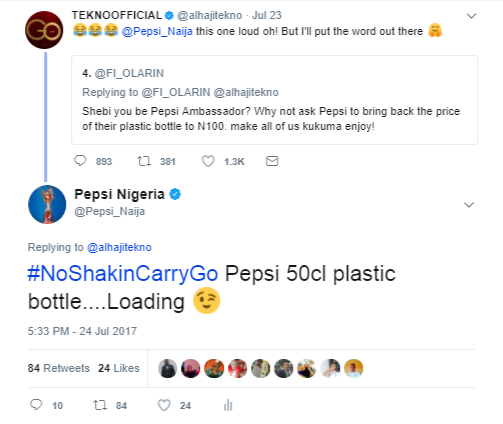 Within 24 hours Pepsi responded and Twitter NG has been going crazy asking with lots of memes if the prices would be dropped. 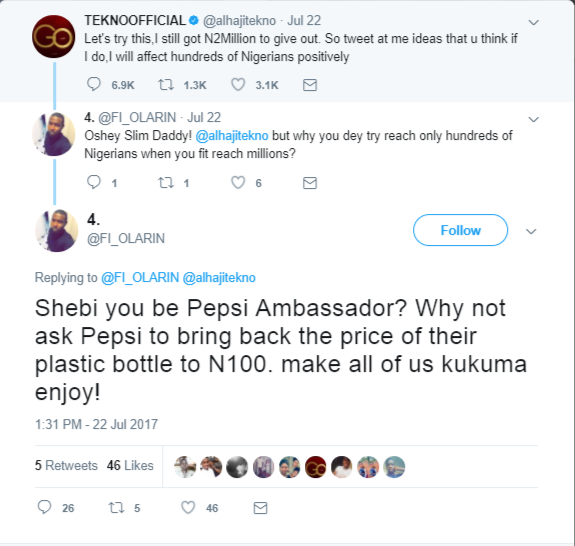 Seriously we hope Pepsi drops prices because times are hard and it will be a breath of fresh air.